Clipper field is located in the Southern sector of the UK North Sea, it stands in 22 meters of water, 113 km North Northeast of Lowestoft, 73 km from Bacton and 66 km from the nearest point on the Norfolk coast. The PH Platform topsides main columns, directly supported by the jacket legs, are on a 18mx24.8m pattern. The PLQ module extends over seven levels: 1 utility deck, 3 accommodation decks, 1 further utility deck, 1 roof deck and the helicopter deck. The accommodation facilities are provided for 84 people. 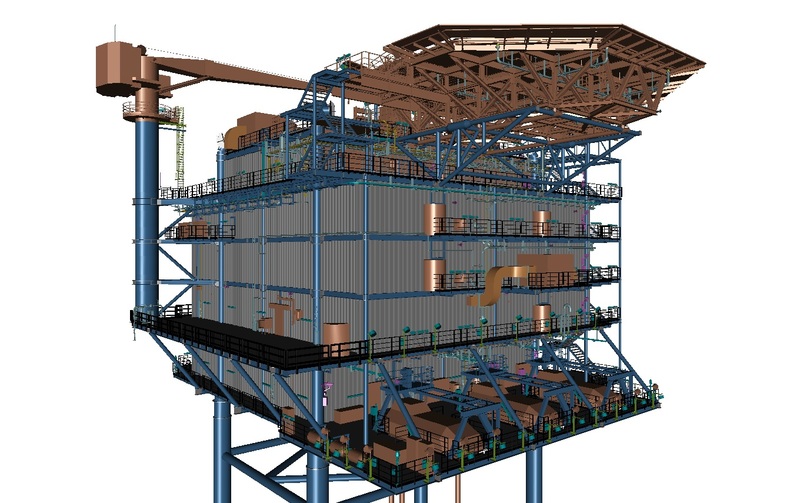 Detailed Design of the Topside, Jacket, Piles and Bridge structures for the in-place and temporary phases.